Hanging Click Snap Frames Poster Holders A0 A1 A2 A3 A4. Very handy to change the posters. Available in portrait & landscape formats. Stock colours Silver Red White Black Blue Gold Yellow. 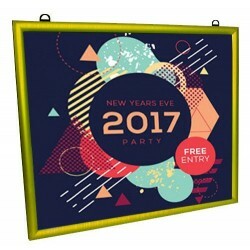 You can use these frames in portrait & landscape format. The very Practical design you can suspend with cables or just hang on some hook or simple screw. This frame makes easy poster changing, remove the snap frame from cable, hook or screw put on the table change the poster & hang again within no time. The bold design will make your poster really stand out Comes pre-drilled with fixing holes for quick wall mounting. 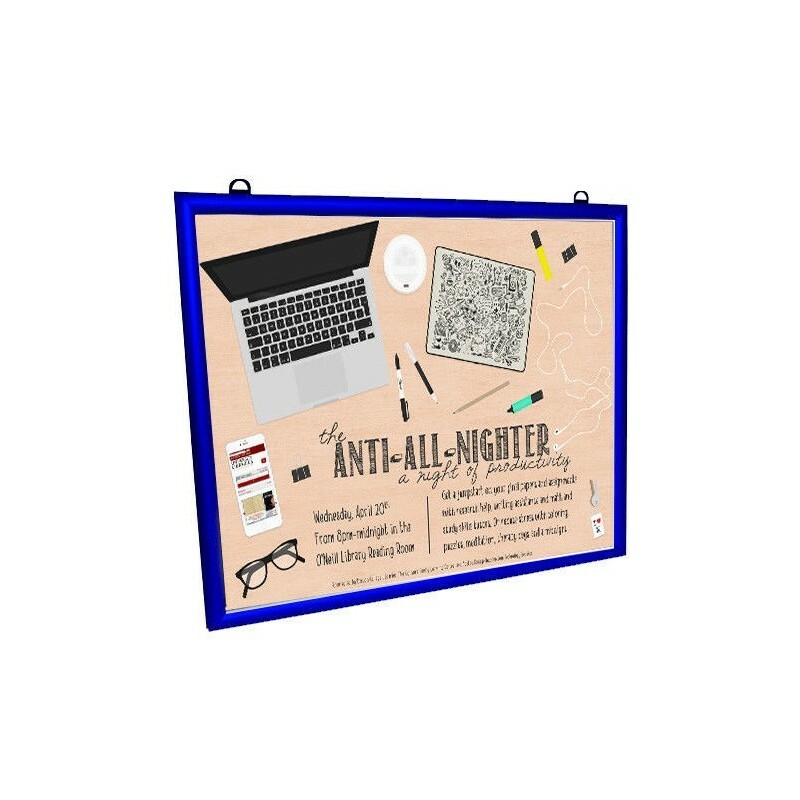 For an eye-catching poster display. Snap frames are a great way to communicate your message or offer clearly with customers and the fact that they can be wall mounted means you can save valuable space. The click shut front opening mechanism allows for a quick and easy poster change to create a first impression - key in the make or break of a sale. 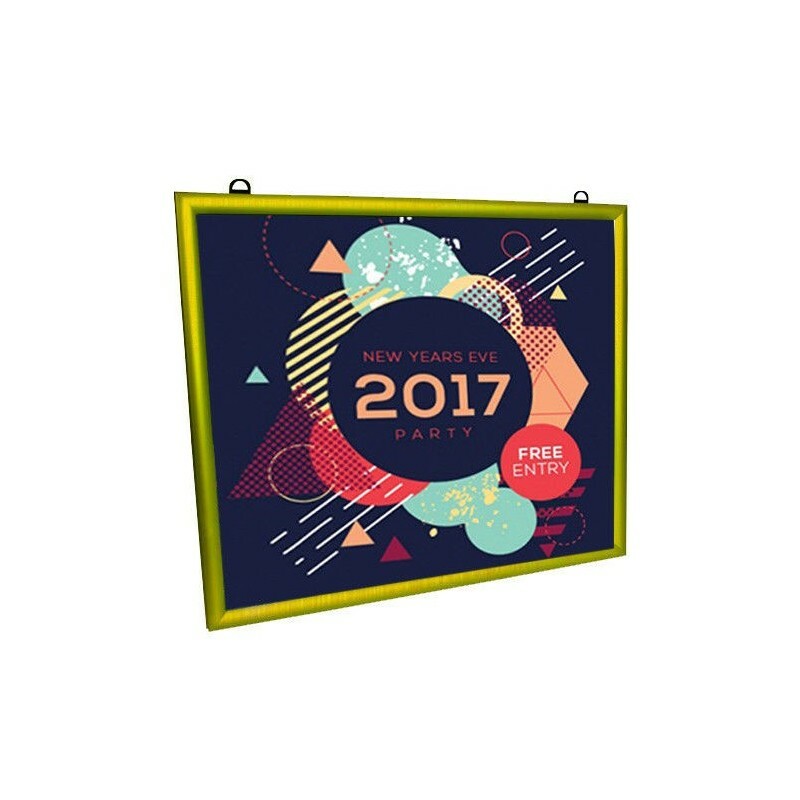 The gold click frame will make you stand out among the competition and add a touch of luxury to your poster.